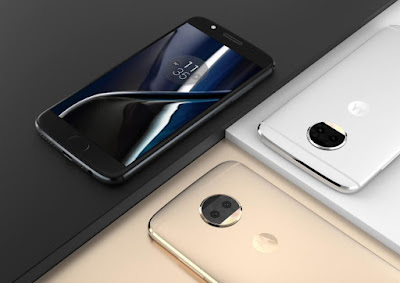 Moto is working on Moto G5S and Moto G5S Plus.Moto G5S with Single Rear Camera and G5S Plus with Dual Rear camera Now More details about Moto G5S Plus has been leaked. Moto G5S Plus will be more premium material, featuring enhanced imaging capabilities.It will feature a 5.5-inch 1080P Display powered by 2.0GHz octa-core Snapdragon 625 Processor with 4GB RAM and 64GB internal storage. On Camera, Moto G5S Plus will have new dual rear camera module, 13-megapixel sensors (one color, one black-and-white). The front-facing selfie cam also sees an upgrade in resolution, from 5 to 8 megapixels. That rear camera sensor pairing will enable such features as the bokeh effect, background replacement, and the display of selective elements in black-and-white. Reputed to have sub sized 3000 mAh battery..useless..for a 5.5 inch display.